Often when running a web hosting business you find you want to make changes such as price or even configurations at a specific time, and sitting at the PC 24/7 isn’t always the best option. I’ve been developing the “WHMCS Scheduler” which enables me to easily schedule database changes, which are then executed by minutely cron. At the moment I am looking at having “Add” types, Domain Price change, Product Price change and “raw” db change. The module isn’t quite ready for release yet as I am looking at making the add forms much prettier (as you can see it’s a quite ugly). I’m also looking to add a lot more features to enable web hosts to easily configure and manage changes, and making it all much more user-friendly. I was developing this site for my college IT project. It is designed to follow “Web 2.0” principles and is designed to incorporate a lot of AJAX functionality, creating smooth user interaction with the backend of the system. This was my first public module for WHMCS, the VPS247 Module enables easy integration with the vps247.com VPS platform and enables complete control over the Virtual Machines to enables easy provisioning and management of your customers VMs. This module includes a huge variety of features and really takes advantage of the VPS247 API, and even uses some not yet documented API functionality to provide an great tool for resellers and other hosts wishing to utilise the platform. Caption Fixer is a simple WordPress Plugin which removes the 10px margin which the WordPress Core automatically adds to [caption]. In the next release I will be adding the ability for the user to define a custom margin instead of simply removing it. If you find this plugin useful, why not Buy me a coffee? Caption Fixer is a simple WordPress Plugin which removes the 10px margin which the WordPress Core automatically adds to image captions. The GoURLs WHMCS module enables web hosts to to easily setup and manage private URL shortners for their business website. As more and more sites are implementing short urls to help them easily share their content on social media such as Twitter which imposes a character restriction ever character counts. This module is designed to make management and implementation extremely easy and boasts a variety of features such as configurable redirect type, as well as easy to use sort & paging to make finding and managing existing URLs easy. Read more about this module on WHMCSExtra.com, my site dedicated to my WHMCS modules and customisations. GeekTechBlog.com is a Technology focused blog which covers Tech News, Gadgets, Reviews and general “Geek” interest items. This project has required numerous skills such as managing advertising and sponsorship, content production, content sourcing and editorial duties. The website has been developed to help give the charity a better web presence and boost the charity image, as well as providing families with detailed information about events and much more. Through this project I have also communicated with designers who created the initial design, a talented CSS author who I worked with to improve site design and cross browser compatibility. 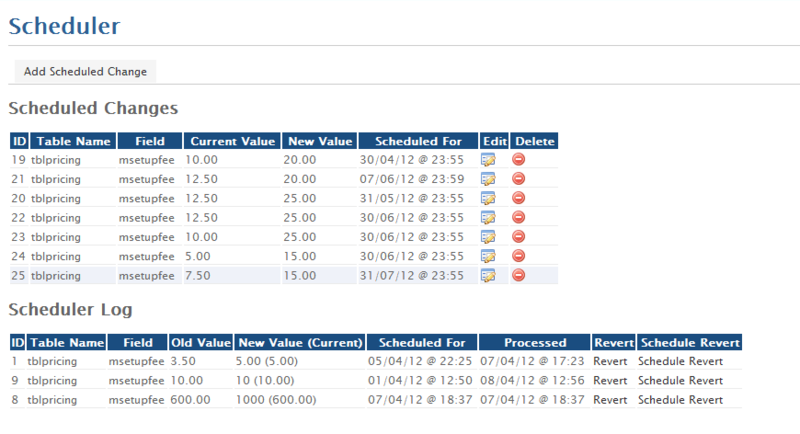 And developed an admin interface to allow the committee to easily update and manage the events, news and articles.